Down Under Comes To Down South! 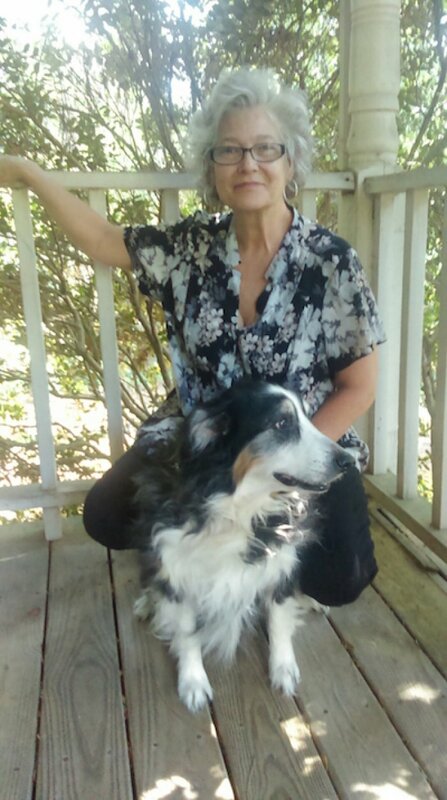 With a true love of dogs, an Aussie touch, and warm southern hospitality, Jessica can help enrich your relationship with your precious family pets. A well trained, well behaved dog is something every dog owner wishes for, but only a few have the ability to enjoy. Jessica truly believes that a dog is God's example of unconditional love here on earth. As the owner of Bark Busters Atlanta South, Jessica has developed the reputation of being the best dog trainer in the area and our number one referred trainers by the Vets, Humane Societies, dog professionals, and the Director of Fayette County Animal Control. Over the years, she has helped over 2500 dogs with issues that range from the simple and to the extremely serious issues. Jessica says, "If I have an owner that does not give up on their dog, we can achieve a great level of success"! Wow, so how does she do it? Jessica covers the Bark Busters training concepts and techniques with the owner on their first call for help. Jessica explains, "Bark Busters originated in Australia and the Aussies have an almost magical ability with animals and nature". Jessica explains the psychology of the unique training techniques before the first training session. Jessica is a certified Grand Master Trainer with Bark Busters Home Dog Training. Jessica first became associated with Bark Busters in August 2002 and came on board full time in September 2005. Jessica has great success with aggression and difficult cases that other trainers have given up. Jessica has a sweet and loving touch with puppies and conducts a Puppy School for one of the largest and most trusted Vet Clinics in the area. "I teach the owner to be a "leader" that their dog will love, trust, and respect. I talk about "no negative touch". I teach the "power of praise". I teach voice control of your dog so that you can control your dog in any situation and environment," explains Jessica. Jessica uses her own dogs to help in the training of their client's dogs. You may get to meet PokÃ©mon, Bella, Sammie, or Gabriel during your training sessions. They also use a "farm" (No Place Like Home Kennels) in Senoia, Georgia, to work with the dogs off leash. You can go to her Facebook page (Bark Busters Atlanta South) to see photos of a typical "farm" visit with a client. "Most clients when we start the training do not think that there dog will be successful at the "farm" off leash under just voice control. I love the smiles and pride I see as we finish up. I really feel that we offer a tremendous value with our training and support". Ashley Redmond Murray "Max had a blast today at the farm!! Thanks Jessica for all of your help. We are so proud of our puppy!" Any Dog, Any Age, Any Issue is a motto that Bark Busters Atlanta South strongly believes in. Also, if you ever have general questions about your dog's welfare or behavior, please feel free to contact Jessica. "Thank you for considering Bark Busters AtlantaSouth. We hope to work with you and your dog very soon,"
says Jessica with a warm Georgia Peach smile. I learned a lot about how to handle 2 puppies and how to get both of them to listen and respond to my commands. My previous dog was alread trained when I got him. Having 2 small puppies was quite a different experience. I really appreciate the training I received to be a better dog owner! Wonderful job! Whole new dog after 1 session!! Amazing! Even neighbors commented on changed behavior! Very Pleased! Jessica is an excellent trainer. The techniques they demonstrated yielded immediate results. Our friends and neighbors are amazed at how well our puppy is advancing. The training was very rewarding and a positive approach.I have gladly recommended Jessica to my friends and neighbors. Cotton responded right away to the newly explained training techniques. I have enjoyed the training and so has Cotton. I already have recommended Jessica to my friends and neighbors. Jessica was professional and friendly. Learning to think "canine" makes perfect sense for dog training and we have seen great results.